Simple to use testimonial widget that saves you tons of time. 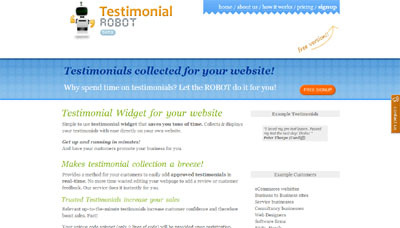 Collects & displays testimonials on your website with ease. New features planned and great price, simple to use.